Jef McClellan is an Akron area blogger, producer, and musician. Originally from Conneaut Lake, Pennsylvania, in 2001 he attended the University of Akron, majoring in Jazz Studies. After college, he played in the Akron area art-punk project Whispergrip along with bassist/vocalist Matt Christy and drummer Jason Seich. They quickly became a staple of the local concert scene, and though recordings of the group are virtually non-existant, they enjoyed considerable success with their live act; however, the group ultimately disbanded in 2005. Jef has since worked on a number of projects, including several solo recordings, production work for local area artists, and soundtrack work for a number of short films along with his fiancee, designer and photographer Carissa Russell. Since 2011, he has also worked as contributing editor to The Cleveland Sound, conducting interviews as well as concert and album reviews of some of the hottest acts to come through Cleveland Ohio, including Skinny Puppy, Baroness, Meshuggah, and many others. 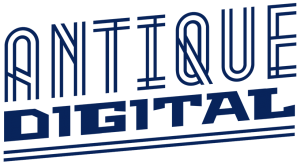 In 2013, he founded antiquedigital.com, an online portfolio and music blog, as a central repository for his constantly revolving projects.